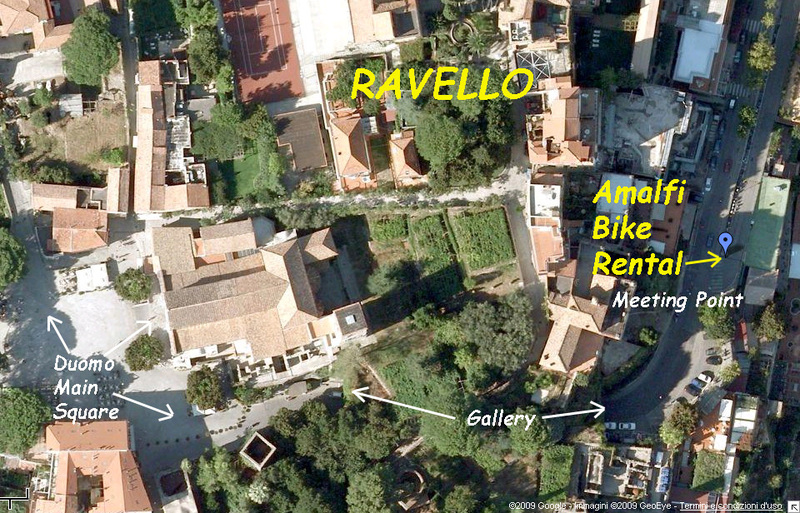 Amalfi Bike Rental has an operative branch 400 meters far from the city center of Vietri sul Mare, a branch 200 meters far from the train station of Salerno and a delivery point in the city center of Ravello. 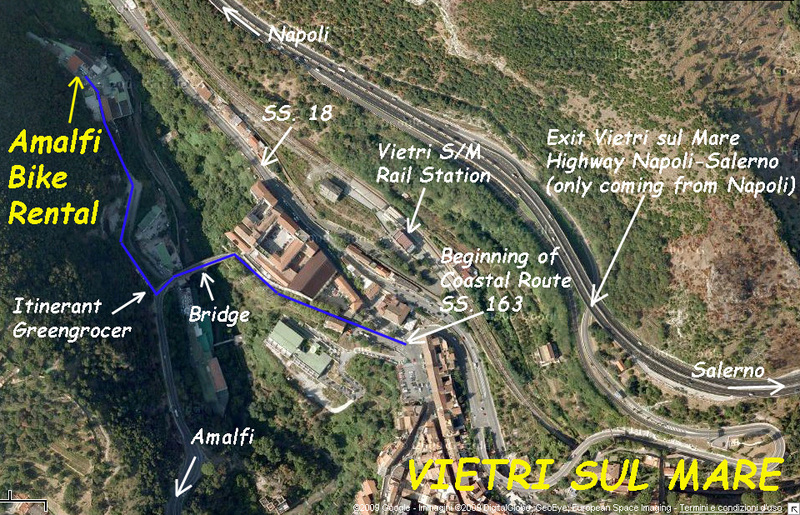 DIRECTIONS FOR VIETRI GARAGE (FREE CAR PARKING ON THE STREET): from the city center of Vietri take the road for Amalfi (Amalfi Coast SS 163), go straight for 200 meters through the tree-lined avenue and the bridge, at the end of this turn right (via Travertino) and continue straight (follow the signs, do not go down to the right under the bridge) cross an arch, pass a gate, go up the ramp on the left (mechanical workshop). DIRECTIONS FOR SALERNO OFFICE: from Salerno train station, to get quickly the shop in via Balzico, avoid to go out from the main exit, but go upstairs to the platform n. 1 through the underpass. Keeping track 1 on the left, walk 20 meters to the Police office, then turn left to the secondary exit that leads into a large parking. Turn immediately to the right and continue for 150 meters to the exit of the parking, cross the street, take via Balzico and after 20 meters on the left (at number 19) you will find our office. For further informations and their precise localizations click on the maps below or on the link "google map".